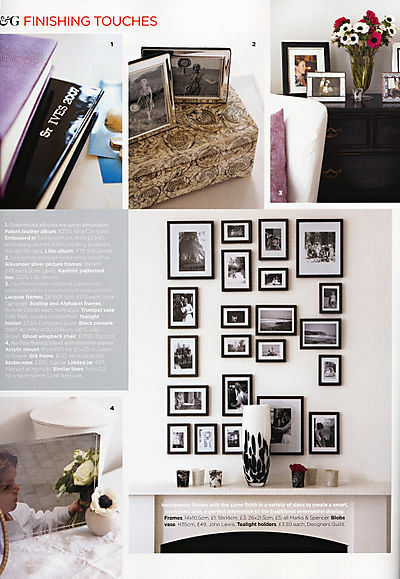 This image features a dramatic wall with a variety of black frames, probably ranging in size from 4x6 through 8x10. You can see the outline creates a perfect rectangle, but the interior frames are a bit scattered, which gives the entire display a very cohesive look. 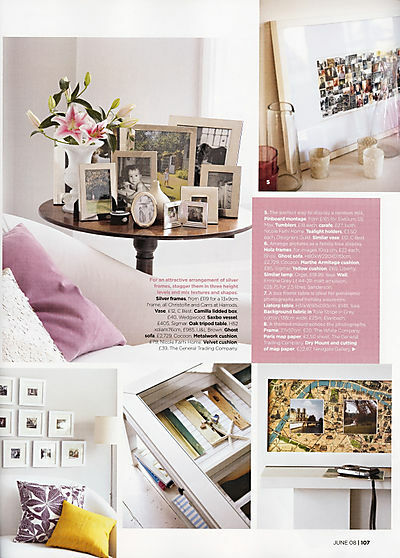 You can get a few ideas for your table displays in this image as well! This tabletop display ROCKS! 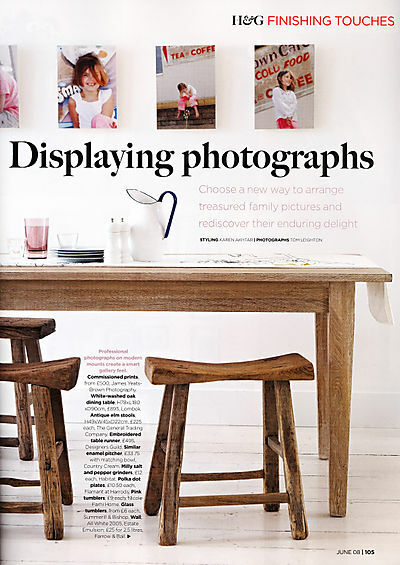 A perfect combination of frames that do not overpower the table, but add a great focal point. As shown here you do want to keep the larger images in the back of the display moving forward to the smaller frames. Keeping the frames in the same family is also a must to create this dynamic look, you can see all the frames here are accented in silver. In the upper right you can see a very cool collage. We are not sure what size those images are, but you can do this in any size of course! And then you have the great symmetrical wall display in the lower left! White frames with black and white frames just scream drama! So - now you have more inspiration! If you ever implement some of these ideas, we would love to have you share them on our Facebook Fan Page!